I will give you power over the enemy and nothing will hurt you. and over all the power of the enemy. Nothing will in any way hurt you. Jesus is our Lord, our Savior and our friend. He is also our big brother and our protector. 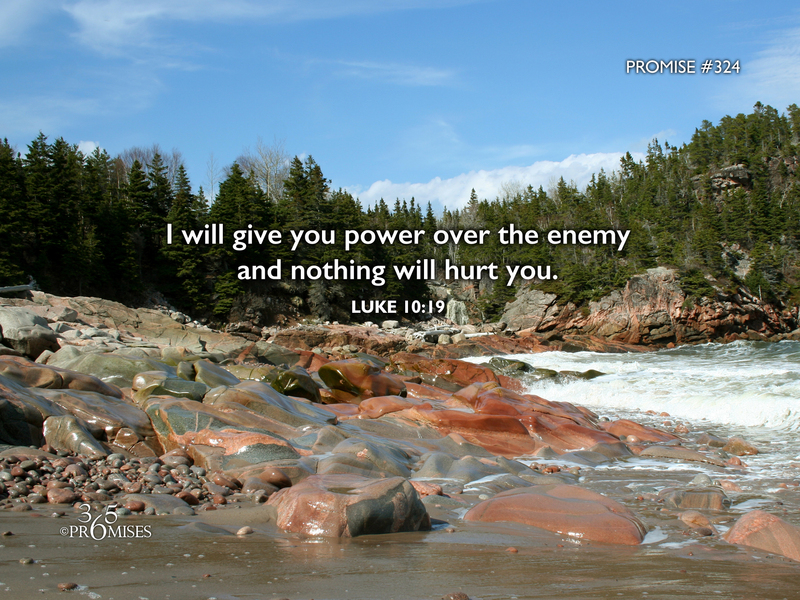 In today's promise, Jesus encourages us that He has given us power to trample on serpents and scorpions so that nothing will ever hurt us. I can remember when I was little, my big brother used to watch over me when we went to school to make sure no bullies would beat me up. May each one of us be so aware of the protecting, brooding, surrounding love and power of God in us and around us that we will know that nothing will ever be able to really hurt us.